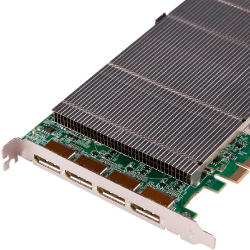 Datapath’s graphics card range provides hardware support for multi-screen solutions, ideal for applications in industries such as control rooms, video walls and high end digital signage. The graphics cards are PCI or PCI Express compatible providing support for HD, SD, DVI and RGB video overlays. They can provide a maximum resolution of 4 x 1920 x 1200 x 32 bit. 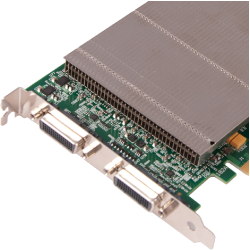 Datapath’s Vision range of capture cards provide a variety of high or standard definition capture capabilities as well as audio in some models. Video capture modes supports include Single or Dual Link DVI, 3G-SDI, HD-SDI, RGB, Component YPbPr, Composite video and S-video. 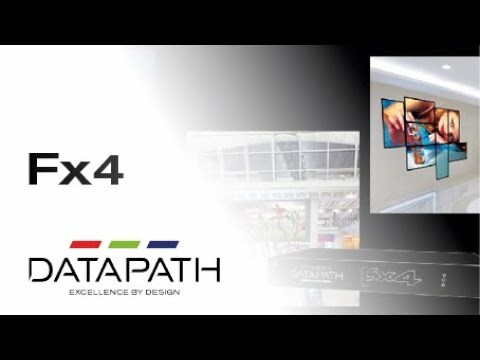 Datapath products have been developed for a wide range of applications such as video streaming, medical imaging, video conferencing, machine vision,display walls and video walls. Whether you are looking for video capture for streaming, recording or presentation applications Datapath has a solution. Multi Display Products are stand-alone display controllers, that accepts a standard single or dual-link DVI-D input and can flexibly display this across for DVI-I outputs. This multi display controller can rotate, crop, scale, mirror and bezel correct images, allowing the user to utilize their creative imagination. 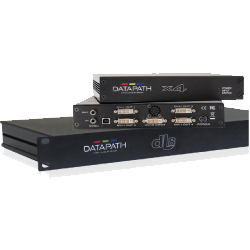 Datapath supply video wall controller systems that are capable of integrating many types of video and data sources onto any display configuration. 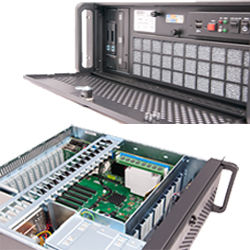 Datapath offers complete solutions, sub systems and components for any wall controller needs. Our video wall controllers are used in variety of different areas such as traffic control centres, telecom operations facilities, utility companies, security applications and in entertainment settings. We provide highly expandable and flexible solutions for video wall and multi screen solutions, using Datapath’s latest generation of video capture cards and graphics cards. Wall Control-red video wall software is a Datapath Windows application enabling easy configuration and set up of your video wall controller.